And Then Extended My Year Abroad Thirteen Times! 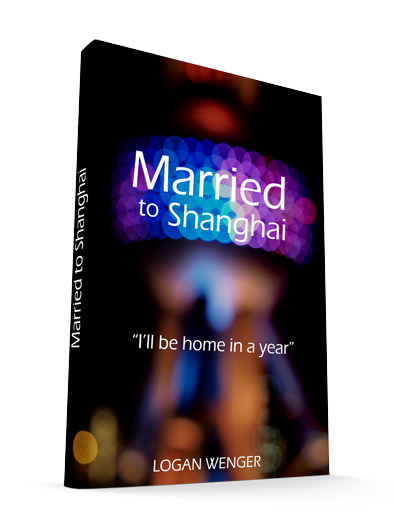 Download the first THREE Chapters of "Married to Shanghai" - For Free! Married to Shanghai is my story of how I planned to live in China for a year and stayed for 13 years. It was a crazy ride and I invite you to join me. It’s raw, real, uncensored, and Rated R.
Enter your first name and email address to receive the first three chapters absolutely free! Subscribe to get Chapters 1 - 3 immediately sent to your inbox and receive a new chapter every week until the book is finished! I respect your privacy and will never share your information with anyone for any reason. © Copyright 2019 Logan Wenger. All rights reserved.